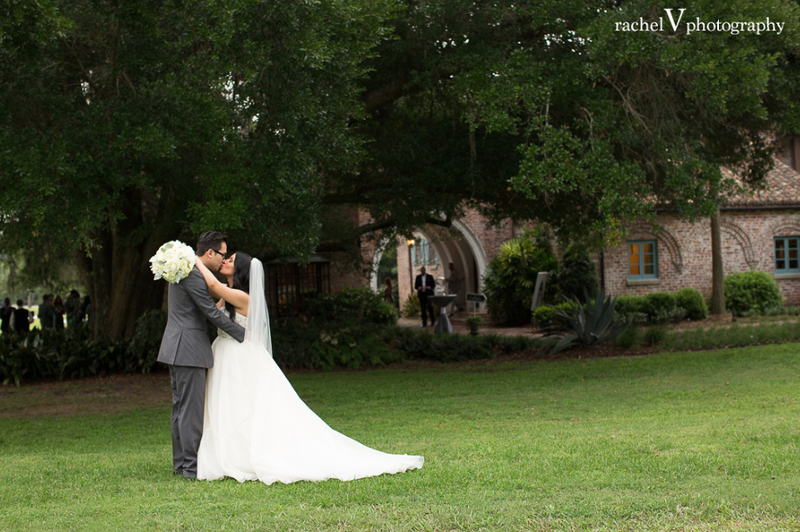 Leslie and Aaron said their I Do’s on their 8th year anniversary at the gorgeous Casa Feliz in Winter Park, Florida. Surrounded my close family and friends the couple was able to enjoy their magical day thanks to wedding coordinator, Weddings in the City. 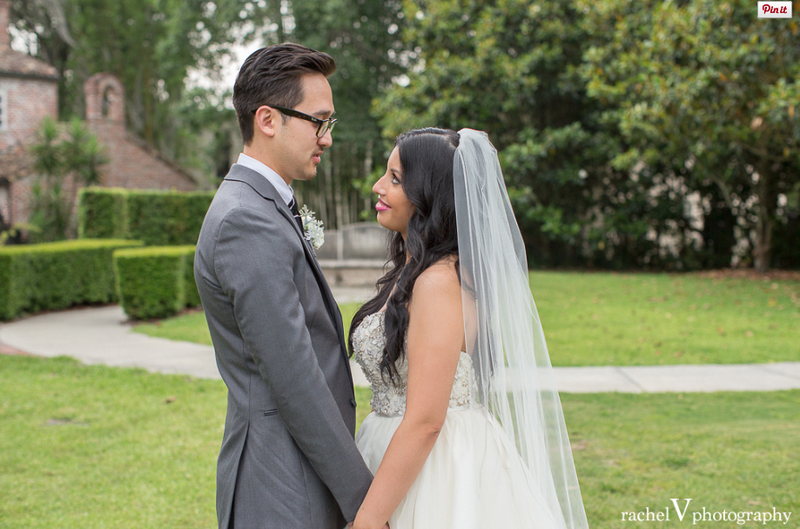 The bride, Leslie, looked absolutely stunning from head to toe in her wedding gown by Solutions Bridal. Alongside the bride, her bridesmaids were pieces of perfection in dresses by Bella Bridesmaids. 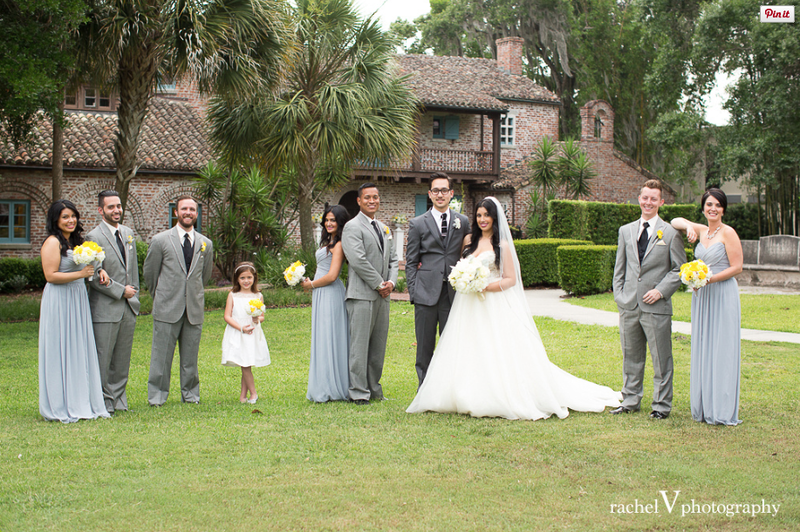 The groom, Aaron, looked quite dapper himself along with his fellow groomsmen in attire from Mens Wearhouse. 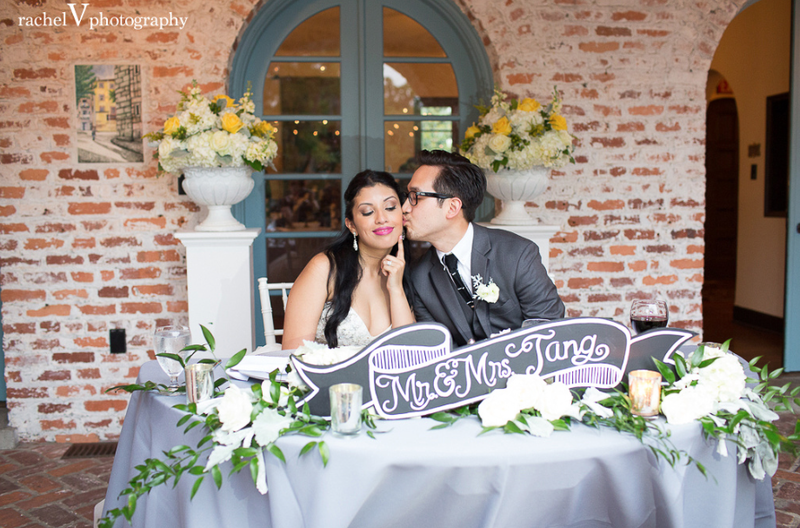 What kind of wedding would it be if there were no elegant florals to add a sense of freshness to the decor? 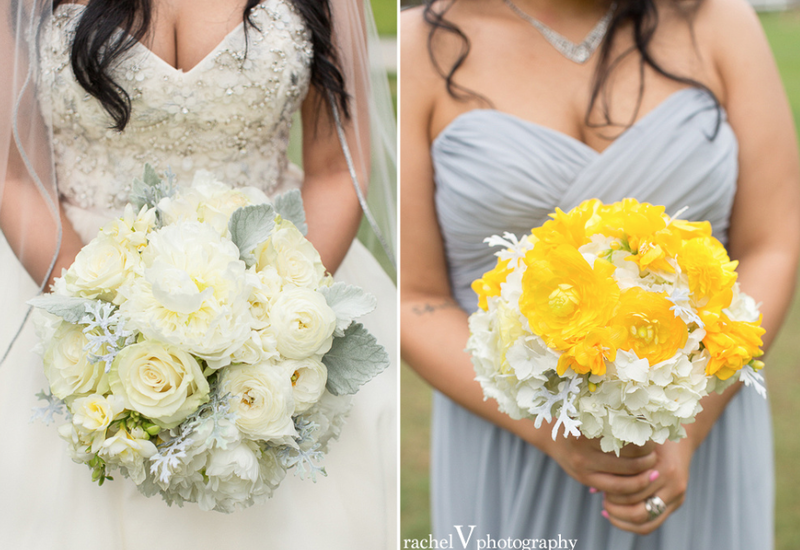 We provided all the flowers for Leslie and Aaron’s wedding day and they were all simply beautiful. 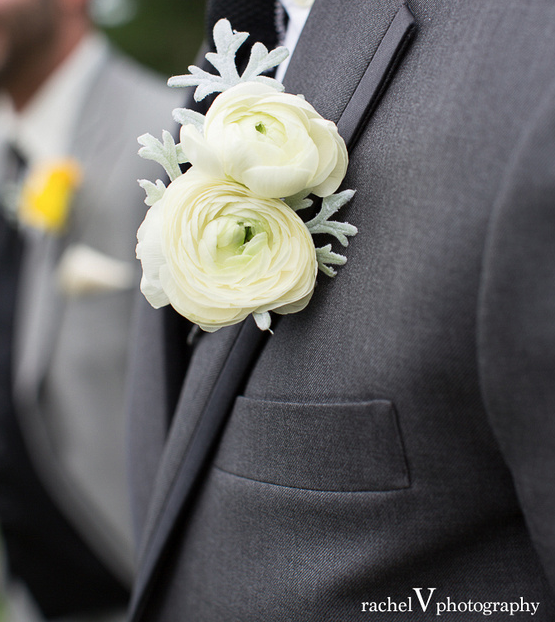 Whether a it was a simple corsage or a bouquet of roses, each flower was blossomed and picture-perfect. Congratulations to the both of you and best wishes in the future. Another huge congratulations to the amazing vendors who made the day a true success! This entry was posted in Real Weddings and tagged Arthurs Catering and Events, Bella Bridesmaids, Casa Feliz, florida wedding, Harpist Christine MacPhail, Lee James Floral Designs, Meister Productions, Mens Wearhouse, orlando wedding, P is for Pie, rachel v photography, Solutions Bridal, The Chalk Shop, The Sugar Suite, Weddings in the City. Bookmark the permalink.